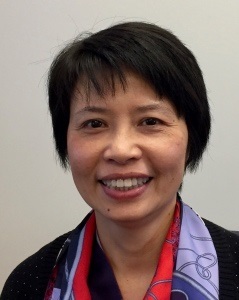 TORONTO, January 24, 2019 – York University professor Nga Dao is the only Canadian on an international team that will receive $17.2 million British pounds to study how to protect environmentally sensitive river deltas in South and Southeast Asia, the huge supply of food they produce and the livelihoods of local people. Environmental degradation of the river deltas in South and Southeast Asia could deplete some of the world’s top rice and fish stocks and undermine the livelihoods of at least 40 million people. Dao, an assistant professor in the Faculty of Liberal Arts and Professional Studies, will focus on the deltas’ socio-ecological systems of three major rivers in South and Southeast Asia – the Mekong and Red Rivers (Cambodia and Vietnam) and the Ganges-Brahmaputra (Bangladesh). “If we don’t do anything the food supply will be depleted, and we’ll be in trouble,” said Dao, a human-environment geographer and international development advocate in the Department of Social Science. River deltas are low-lying plains or landforms that occur at the mouth of a river near where it flows into an ocean or another larger body of water. Valued for their highly fertile soil and dense, diverse vegetation, the world’s river deltas represent one percent of the global landscape yet support over five billion people. UK Research and Innovation (UKRI) is funding Dao’s research project with a grant of $17.2 million British pounds ($30 million Canadian). The research project, UKRI GCRF (Global Challenges Research Fund) Living Deltas Hub, led by Newcastle University will study the river deltas that are considered among the world’s most at-risk environmental and biodiversity hotspots. This Living Deltas Hub is funded by UKRI through the Global Challenges Research Fund (GCRF), which is a key component in delivering the UK AID strategy and puts UK-led research at the heart of efforts to tackle the United Nations Sustainable Development Goals. Dao will receive about $240,000 Canadian dollars for her research and will work with 50 other researchers from international universities and institutions including Newcastle University and Durham University in England, Bangladesh University of Engineering and Technology, Vietnam National University and the University of Glasgow in Scotland. Dao will lead the development of a knowledge-sharing strategy with all parties, as well as monitor, evaluate and learn strategies to enable progress in the South and Southeast Asian river deltas. She will explore opportunities for sustainable development goal-related commercial opportunities for economic advancement in the delta countries. Dao will also oversee the research teams to ensure they are delivering the right activities for the desired outcome. Read UK Research and Innovation’s news release. Find more information about UKRI and the GCRF Hubs.